I have a thing for doors! So I thought, hey, why not make them part of my Home Decor Series? 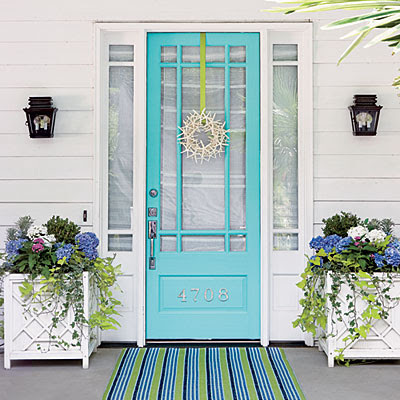 Your front door is the entrance to your most personal and special space, your home. I love to look at them, pin them, and obsess over them. 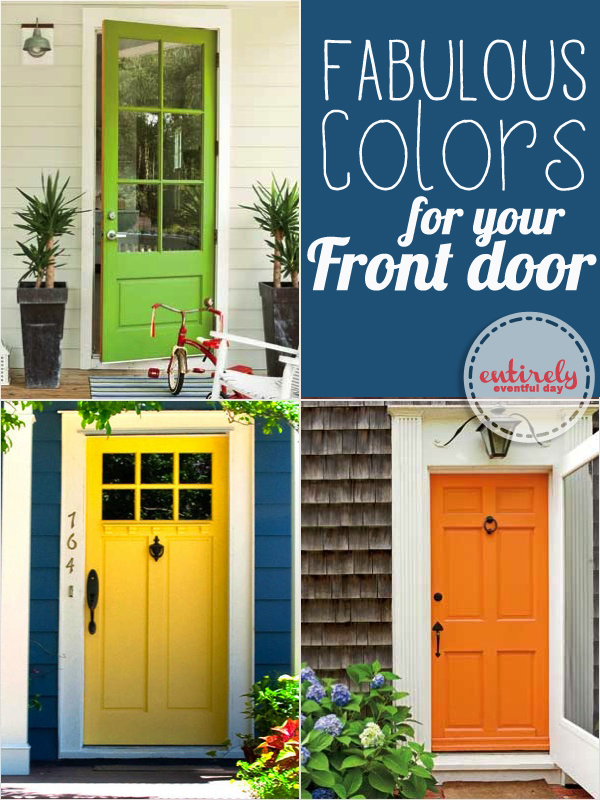 I am constantly thinking of different colors for my own front door. I thought I would share a little of my strange obsession with y'all. I hope you like doors as much as I do. 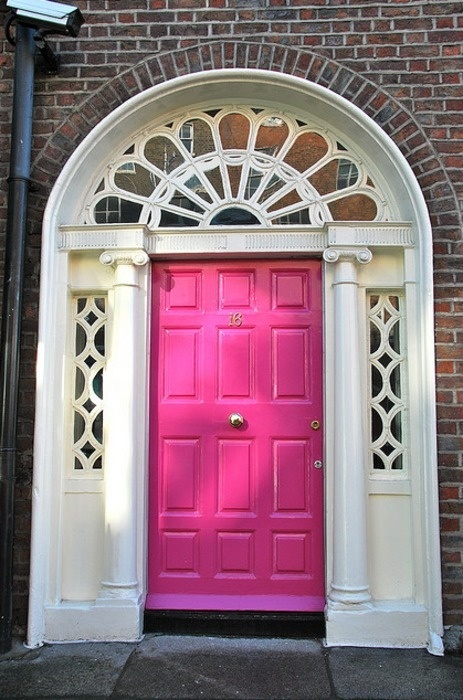 Could this door be any more amazing... pretty much NO. How much do I want to be this lady right now? If this were my front door, I would invite you all over, serve you a delish beverage, and we would sit for hours just admiring it. It's awesome. 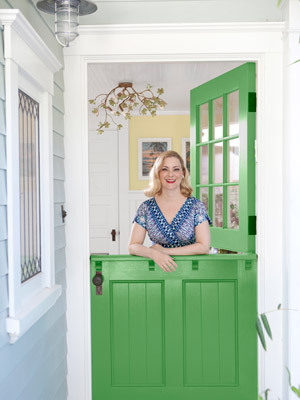 BUT I have seen this color door go wrong. 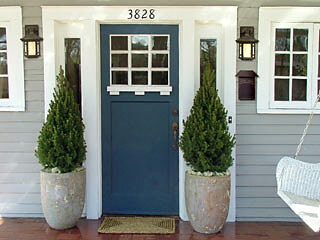 It looks best with bright white trim to make it pop and cool neutral colored house in the gray or gray-blue family. Hello pink door! This is so super cool. When working with a classic brick home, you can think outside the box to make it feel more contemporary. I love any and all things blue. Including this door. 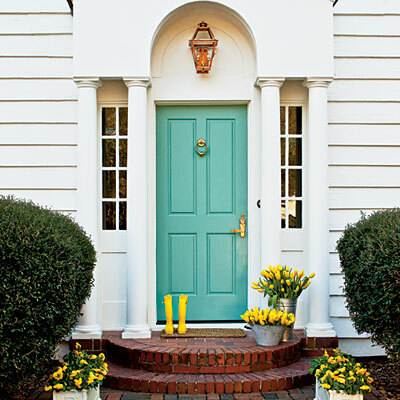 A classic white home can really become something spacial with a well-colored door. Note the yellow accents, think complimentary colors. The colors are pretty similar but I just had to post both of them. Love blue, what can I say. How amazing is the glass in this door though? Right! 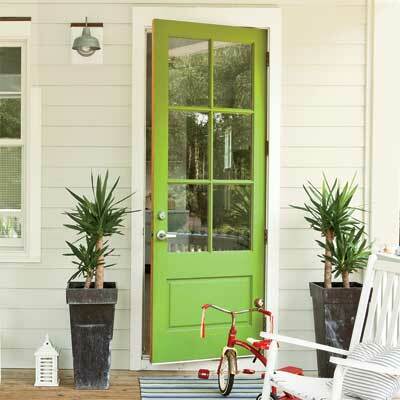 Another green door but this one if more limey. I love the fresh pop. Orange-a-licious! I love this. Notice the blue hydrangeas? Blue and orange are complimentary colors. Hint, hint. I really wanted to see a photo of the entire house, but I couldn't find one, boo. Want this color? Try Navel, Sherwin Williams. Yellow and blue go wo well together. 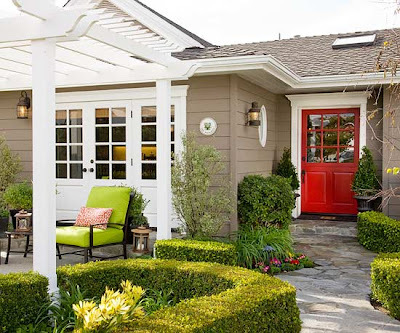 This door in general is just so cool with it's craftsman details and window. I'm in love. So it's cool in the first place, but paint it bring yellow and it's legit amazing. Red doors are classic. This one is so pretty because of the window and how it pops against the gray house with white trim. Think about pulling the color of your door into your decor, notice the red patterned pillow on the chair. My house is this color of blue right now. We are going to be painting it this Summer. I love the color but man does it fade. The back of my house is another color entirely. 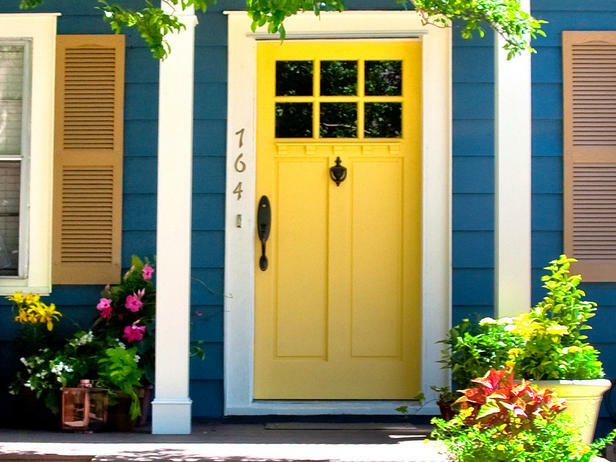 I will be painting my house gray, probably Unusual Gray, and I like the idea of a blue door as an homage to my previously blue house. Want this color? Try Indigo, Sherwin Williams. By the way, this is not an advertisement for Sherwin Williams. I just really like their paint and their colors. It's my fave. 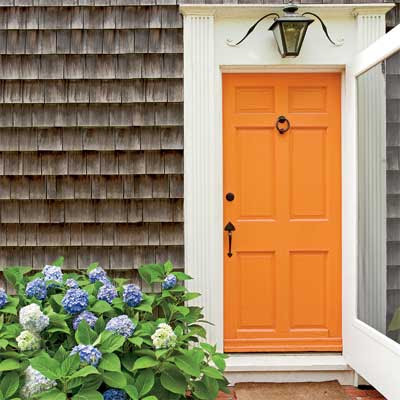 Which of these doors is your fave?